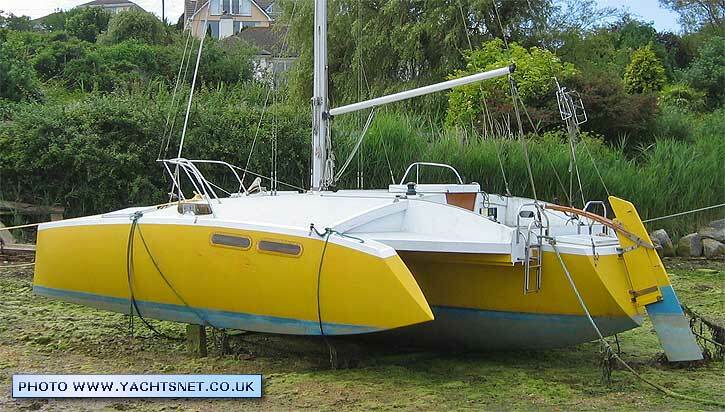 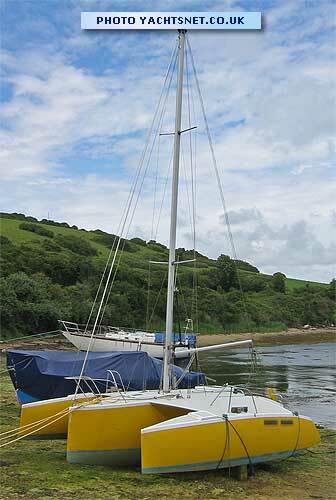 The Tristar 24 (like all Tristar trimarans) are designed for home construction by Ed Horstman. 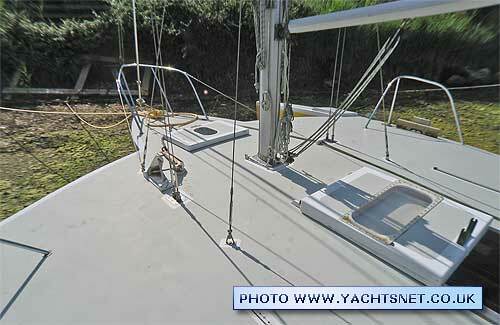 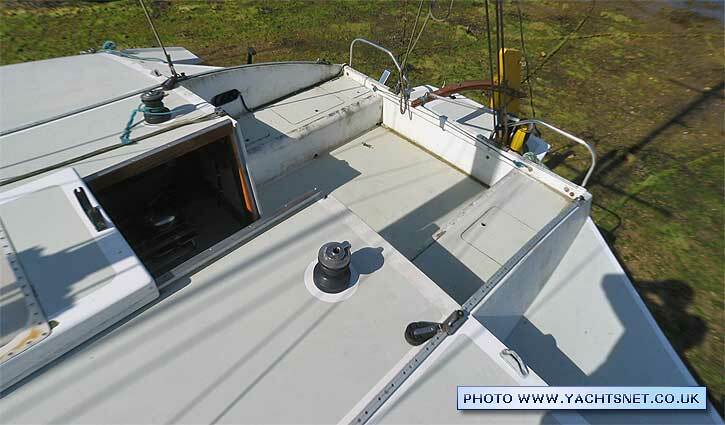 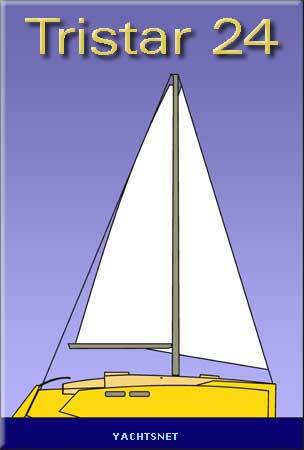 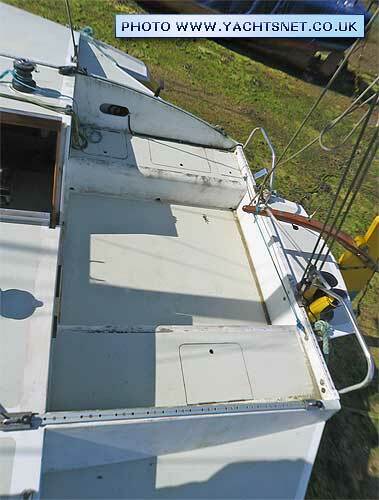 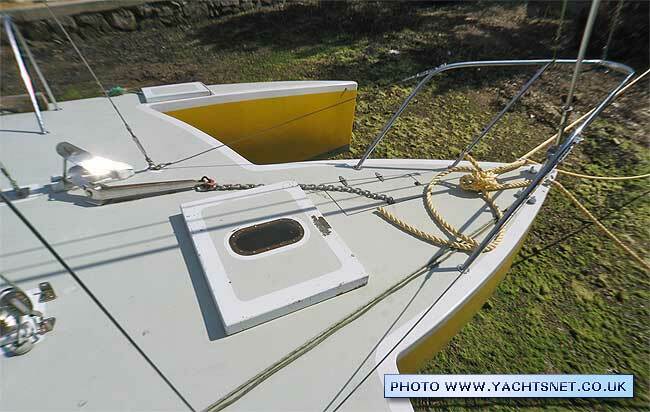 The Tristar 24 has hulls of epoxy-sheathed double-diagonal ply and decks of epoxy-sheathed ply/foam sandwich. 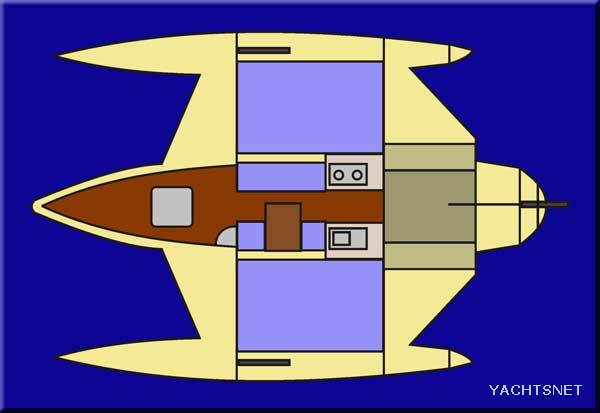 She has a large double berth in each wing, a galley and small dinette in the main hull, and a large forepeak in the main hull used for storage and a heads compartment. 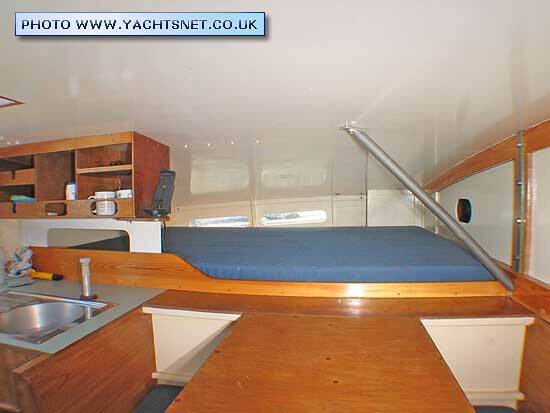 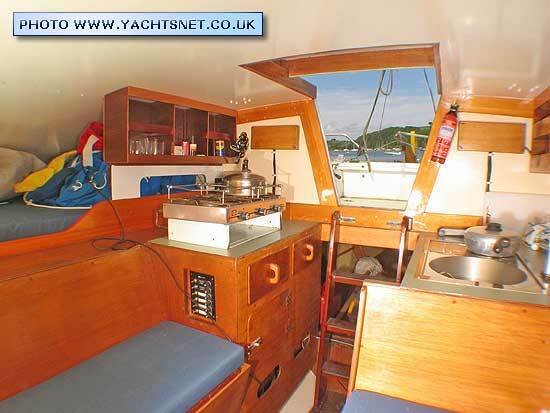 The galley is by the hatchway, with sink to port and cooker to starboard. 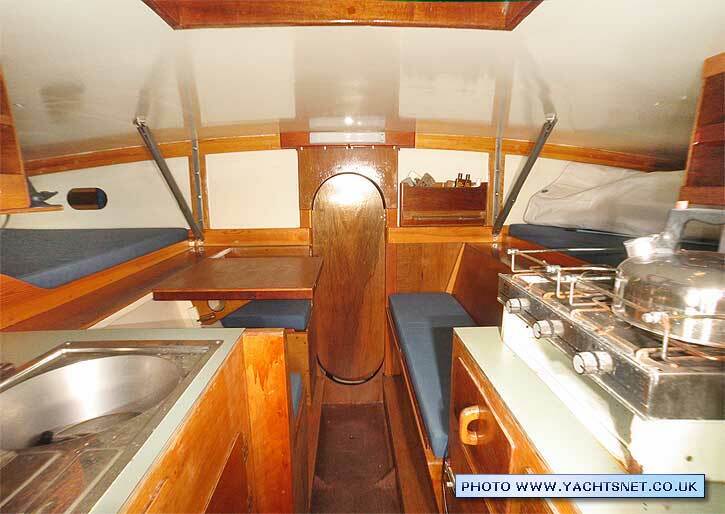 Forward these is seating and a fold-down dinette-style table. 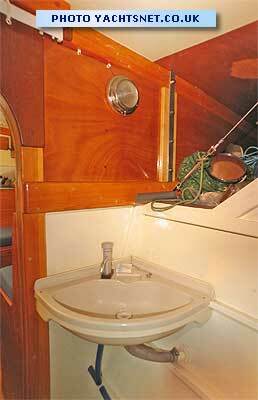 There is a huge double berth in each wing, each berth being 4' 6" wide and almost 7 feet long, although headroom at the outer end is pretty low. 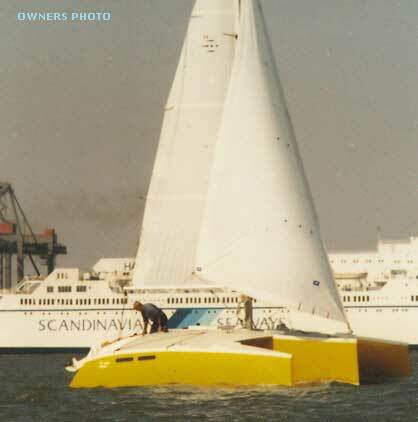 Forwards is the forepeak, with a 'Porta-potti' and washbasin, plus a lot of storage space, both extending forward into the bows and out into the forward part of the wings. 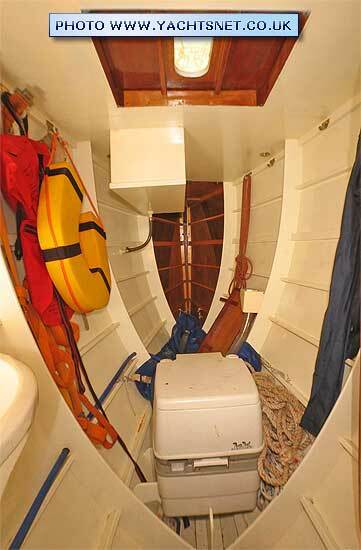 There is also large volume of storage space under and aft of the cockpit. 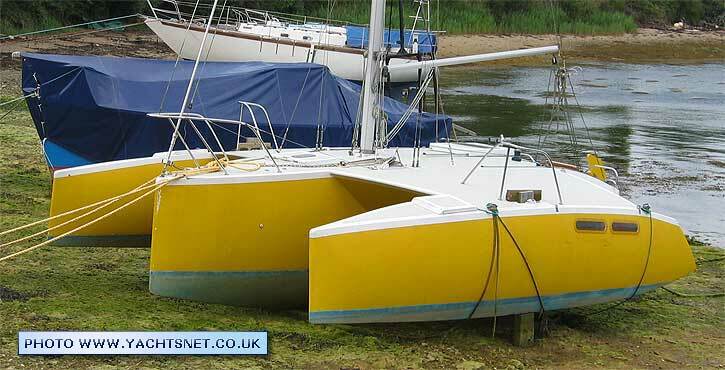 It should be noted, however, that like all multihulls, it is important to keep overall weight down to retain performance, so the availability of stowage space should not mean filling it up!